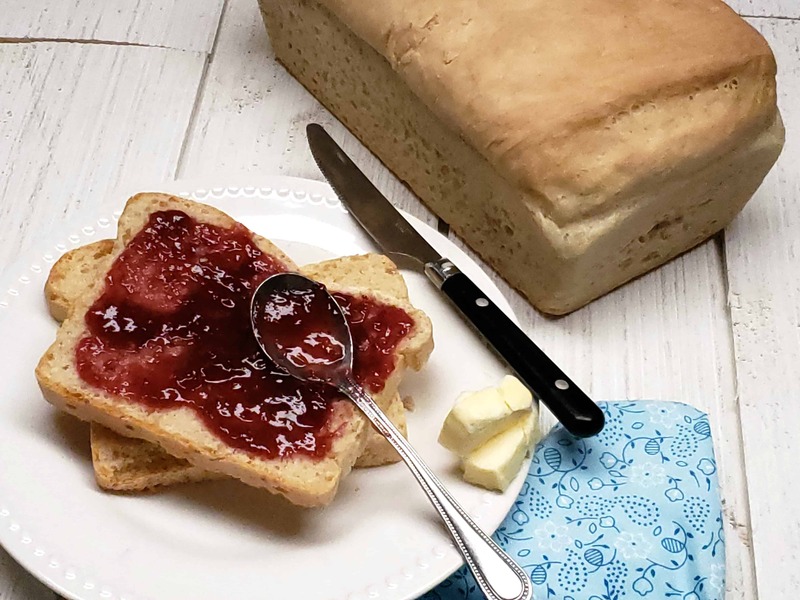 This Homemade Bread Recipe is one you will find yourself making often, it is SO GOOD! 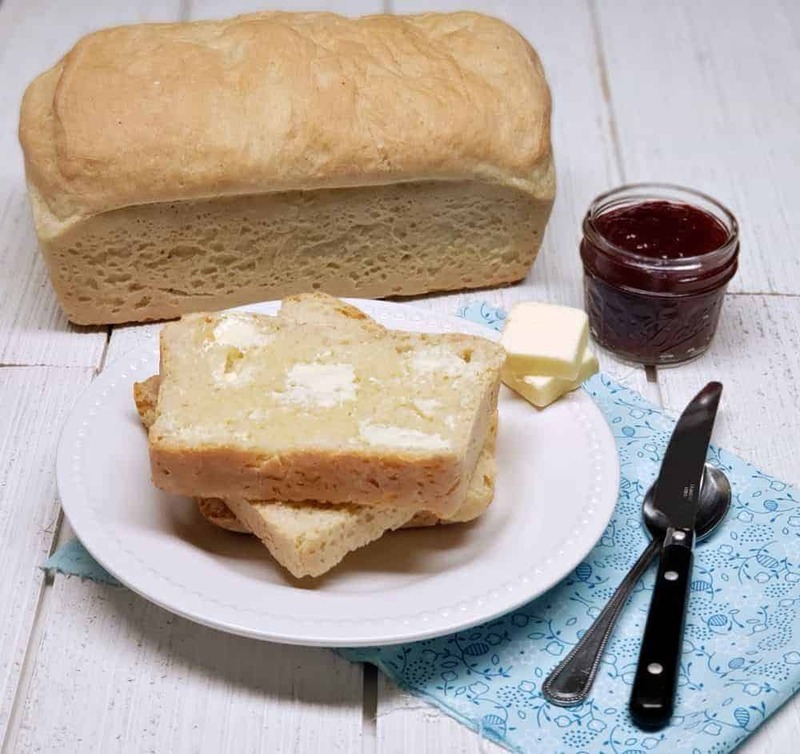 There is nothing quite like a loaf of homemade bread, straight from the oven, along with some good butter or jam. 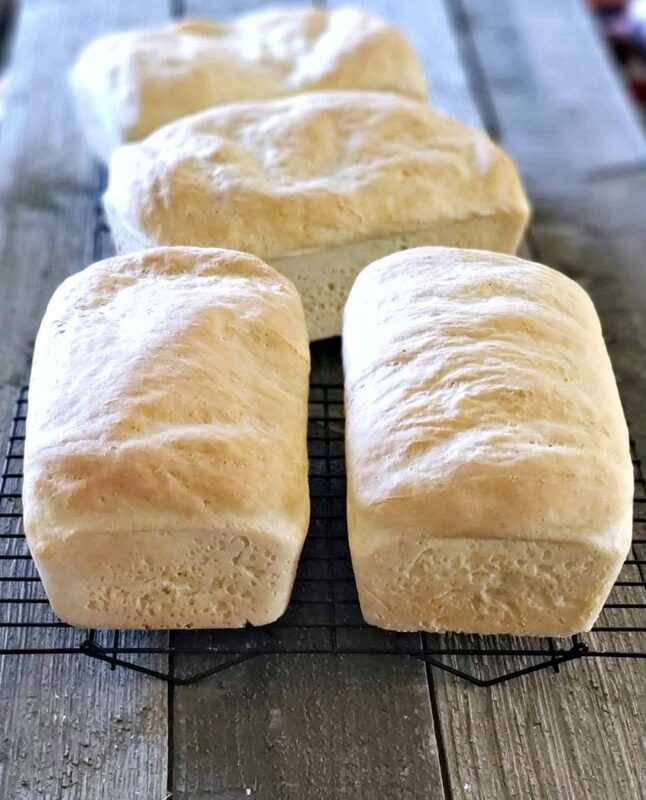 This simple homemade bread recipe is perfect for sandwiches or to enjoy with a batch of your favorite soup or salad. It also makes a great old fashioned Bread Pudding or french toast breakfast! 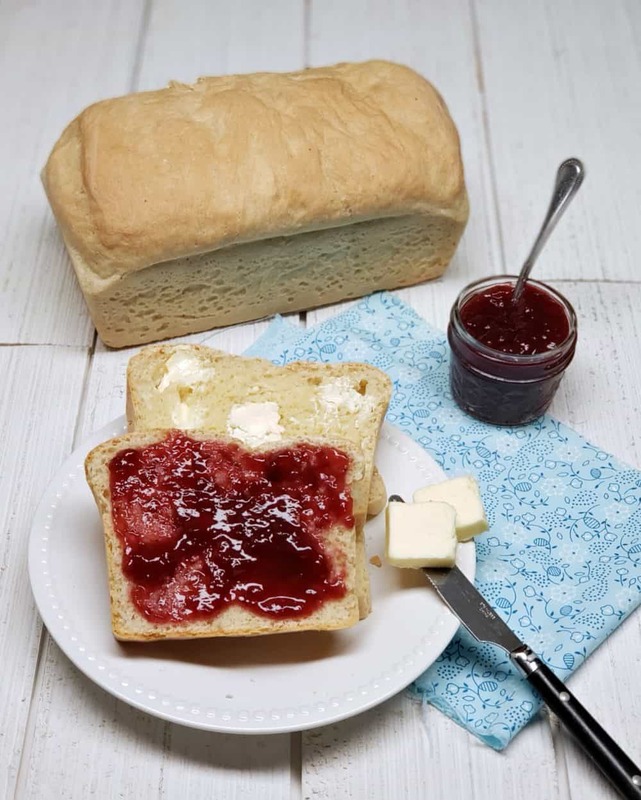 This white bread recipe makes 4 loaves, which is a generous amount. Saving Dollars and Sense Tip: I like to stick a couple loaves in the freezer to enjoy on another day when I don’t have the time to bake. Allow the bread to cool completely before freezing to avoid it becoming soggy or mushy. I like to double wrap my bread before sticking it into the freezer, using two plastic freezer bags . You can enjoy your homemade bread from the freezer by allowing it to thaw for about 3-4 hours. If you’d like you can even warm your bread back up in the oven for a few minutes at 400°. *Although the bacon drippings are optional, they make this bread taste SOOO GOOD! Begin by warming up the oven. Turn the oven on to 200°. In a very large oven proof bowl , add your water, sugar, and yeast . 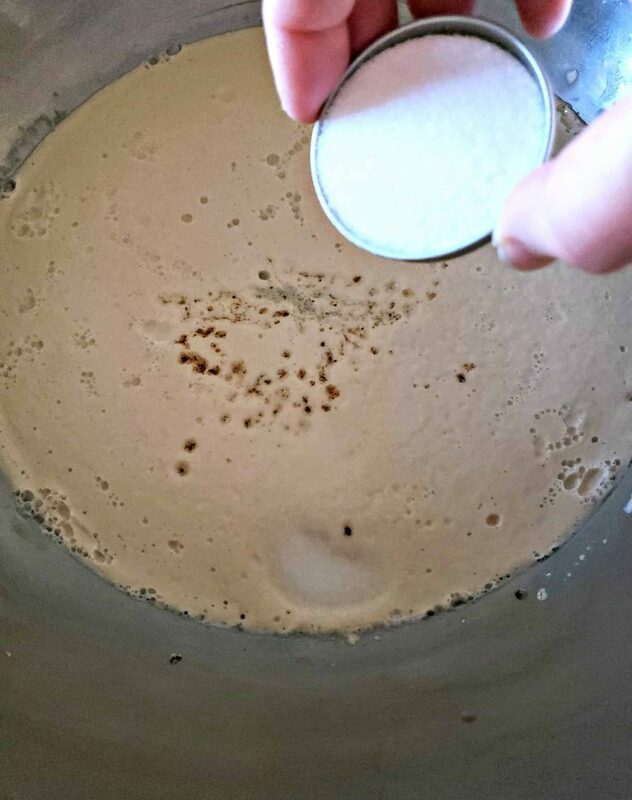 Stir the ingredients to combine and let sit until yeast activates and blooms (proofs). Heat bacon drippings until liquid forms and then allow to cool a bit before adding to yeast mixture. Add bacon drippings and salt to the bread dough mixture and then stir to combine completely. Mix in 5 cups of flour to your mixture. 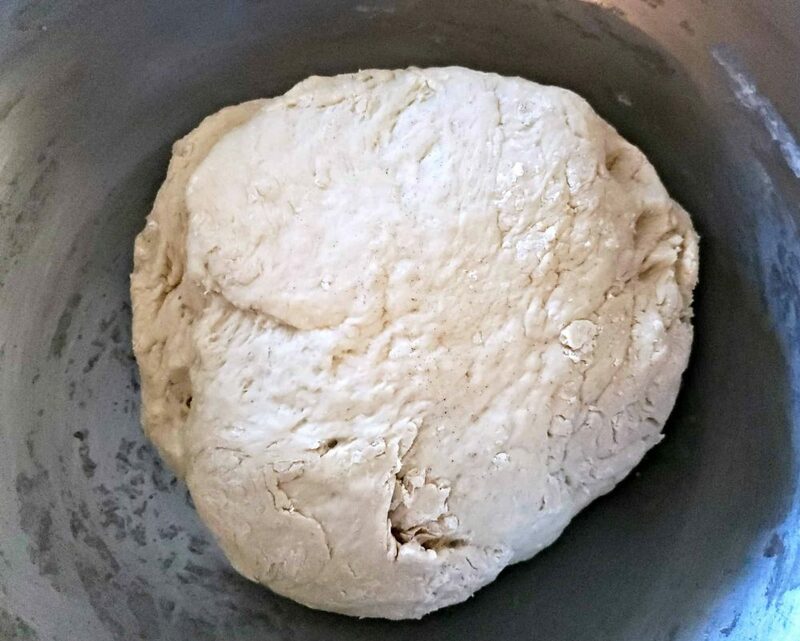 Add 5 more cups of flour and knead 7-10 minutes, adding 1-2 more cups of flour as needed until dough isn’t sticking to the bowl and dough is a good texture. Grease bowl and allow your dough rise in the warm oven, covered with a cloth or aluminum foil for 1 hour. Remove bowl from oven and knead dough for 1 minute. Grease and flour 4 bread pans . 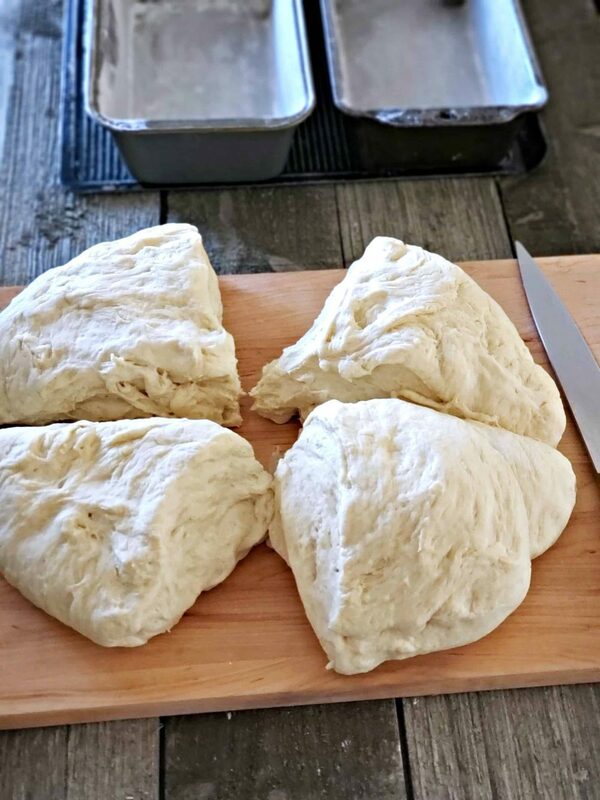 Divide dough into 4 equal portions, for each of the bread pans. 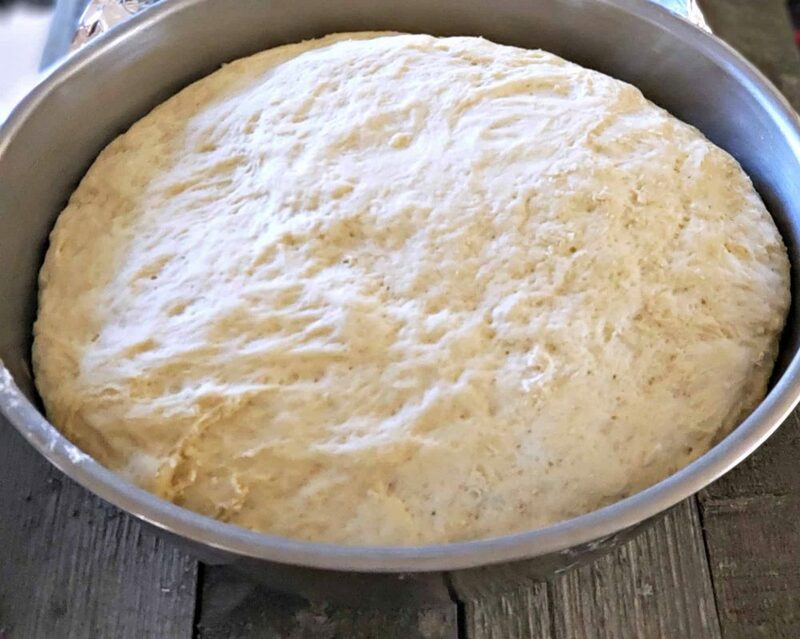 Allow the dough to rise once again in oven for 1 more hour. Bake bread at 350° for 30-35 minutes or until golden brown. Remove from bread pans immediately and set on wire racks to cool. Serve warm with butter, jam, or honey. I like to store my homemade bread in plastic ziplock bags to retain freshness. Turn oven on to 200°. In a very large oven proof bowl, add water, sugar, and yeast. 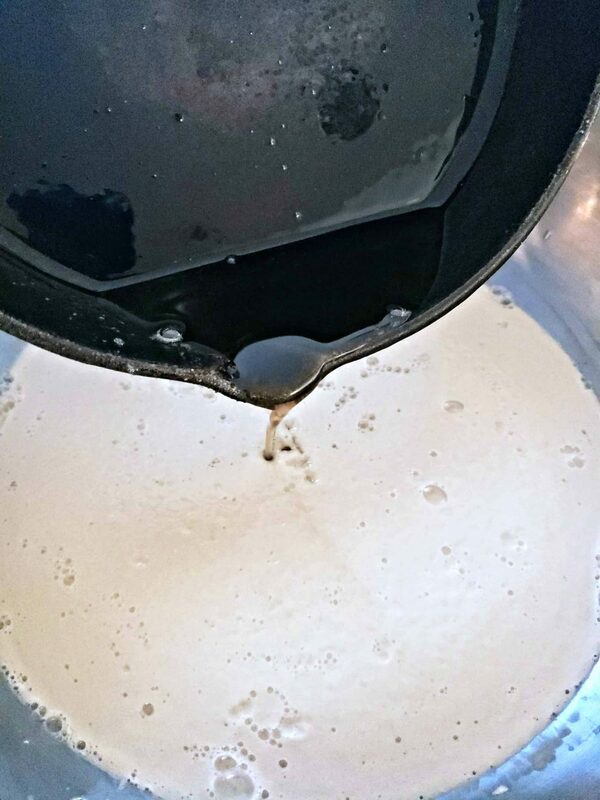 Stir to combine and let sit until yeast activates and blooms (proofs). Heat bacon drippings until liquid form and let cool before adding to yeast mixture. Add bacon drippings and salt, stir to combine. Mix in 5 cups of flour. 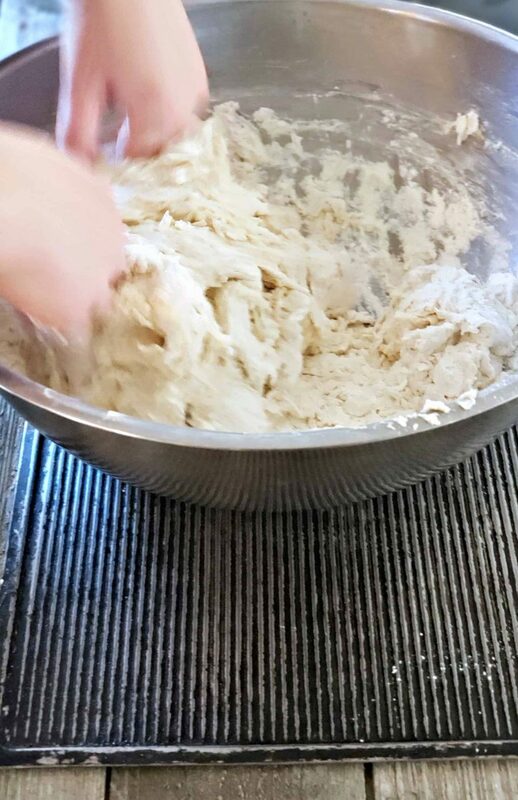 Add 5 more cups of flour and knead 7-10 minutes, adding 1-2 more cups of flour as needed until dough isn't sticking to the bowl and dough is a good texture. Grease bowl and let dough rise in warm oven, covered with a cloth or aluminum foil for 1 hour. 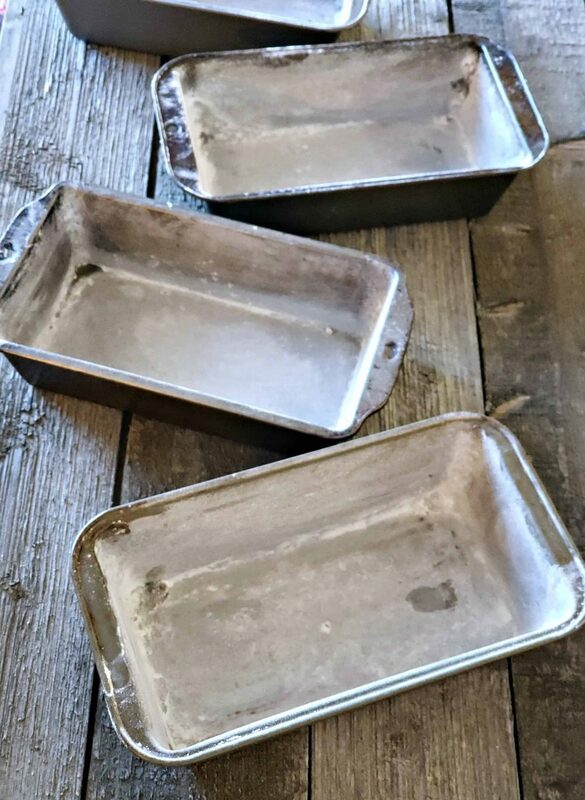 Grease and flour 4 bread pans. Let rise again in oven for 1 hour.